Why was Mega Man present at a show primarily for video games? Guess it would make sense for him to show up in a game where statues fight. That's a joke ladies and gentlemen. https://www.youtube.com/watch?v=1wnnv5zySAk So we know how Megaman's final smash works now. Looks like it's a reference to that one Megaman 9 boss. 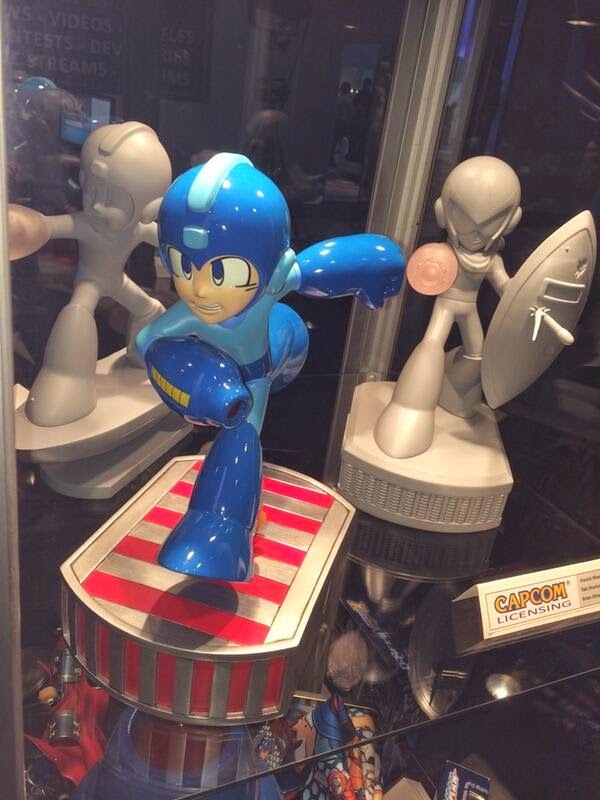 I dunno, I think I'd rather settle for their Akira Yuki statue than this.